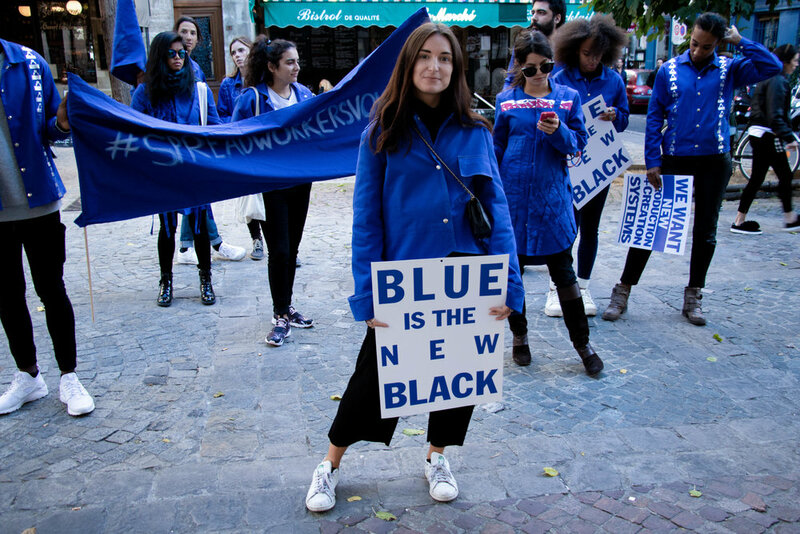 On September 25 2018, during the POP-UP #I WEARBLUE, About a Worker used the streets of Paris as a catwalk to protest for workers rights. creativity as a universal language in the fashion world. 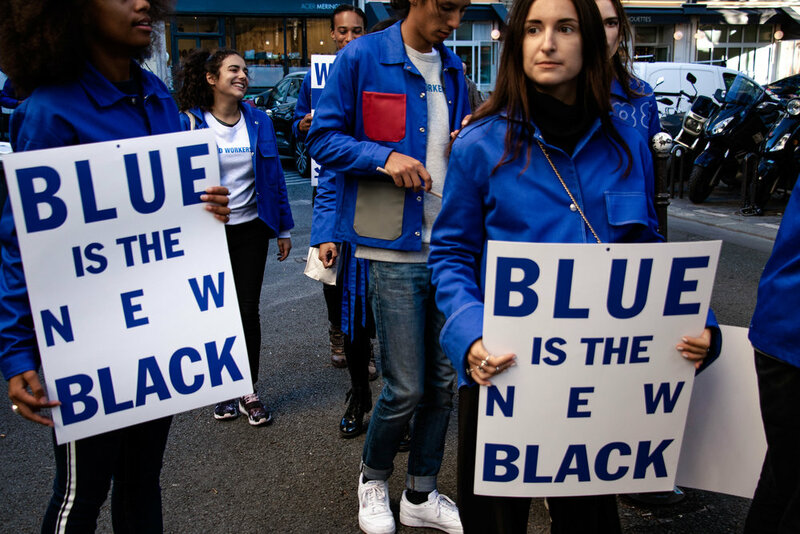 About a Worker encourages its community to become part of this movement standing for positive changes in the fashion industry.